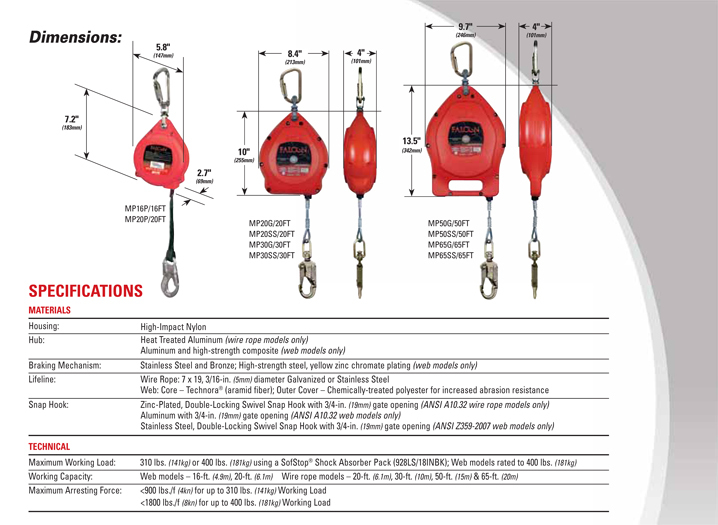 Miller Falcon Self-Retracting Lifelines are nearly indestructible, high impact resistant nylon housed SRL‚Äòs, designed to withstand even the toughest applications. 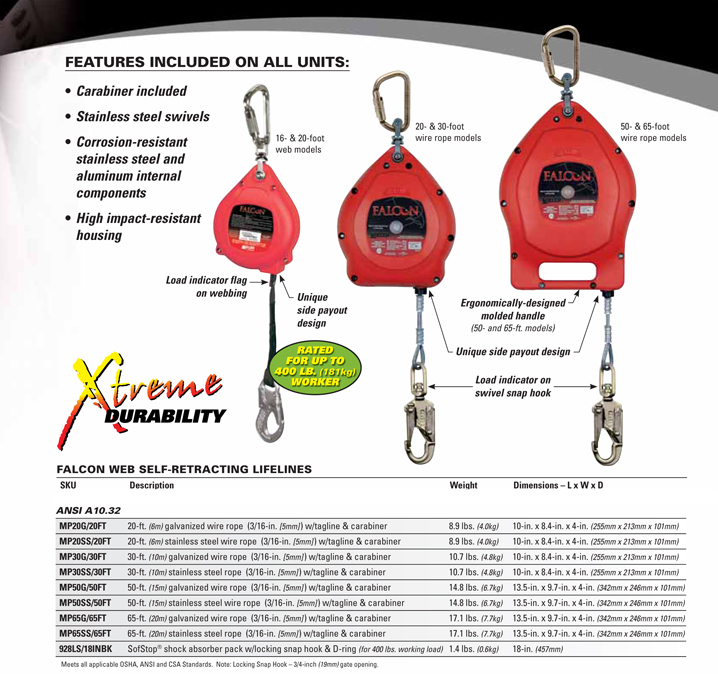 Miller Falcon SRL‚Äòs are pound for pound the strongest, most durable retractables on the market. *Except in Canada where the Canadian Standards Association requires annual factory recertification.